ComicsVerse takes an in-depth, analytical and almost academic approach to comics characters & storylines. Explicit Episode 110: Who is Marvel's Black Widow? Explicit Episode 108: Why is Jean Grey Always Dying? 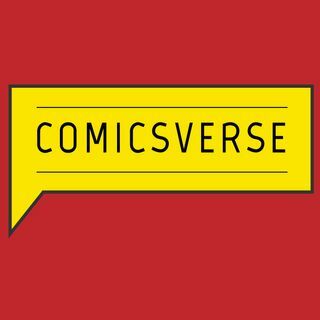 The ComicsVerse podcast was born out of the principles Justin Alba and Kathleen Wisneski learned while studying at Columbia University in a course titled "Comic Books and Graphic Novels as Literature." ComicsVerse takes an in-depth, analytical, and almost academic, approach to comic book characters and storylines utilizing ... See More comic book theory as put forth by Scott McCloud in his definitive work UNDERSTANDING COMICS. All that smart talk aside, we sometimes have potty mouths, but we always manage to have a ton of fun by interviewing comic book creators, artists, writers, editors and historians as well as having panel discussions involving character studies and delving into the plot intricacies of particular story arcs. We discuss Marvel, DC, Image, Dark Horse, IDW, Valiant and more, but we also make sure to cover independently created graphic novels that do not involve superheroes at all. So whether you're a big X-Men, Spider-Man or Avengers fan, or if you prefer Superman, Batman and Wonder Woman in DC and also have a love of the comic book art form by way of graphic novels, we invite you to listen to ComicsVerse. We also like to think of ourselves as having no ego when it comes to feedback. Feedback is how we improve our podcast, website and videos, so let 'er rip!